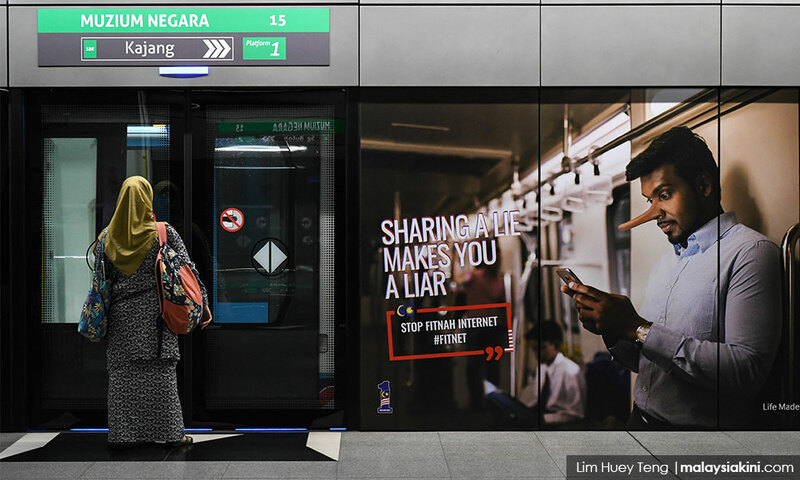 LETTER | There is absolutely no need for the new Anti-Fake News Bill 2018 which was passed in Parliament earlier this week, as there are already sufficient existing laws in the country that the government can use if they want to stop the spread of fake news. We can find that in both the Communications and Multimedia Act 1998 and the Evidence Act 1950, the government already possess broad powers to suppress the spread of fake news that they claim the new bill is supposed to do. Section 144A of the Evidence Act 1950 enables law enforcement officials to quickly apprehend someone and hold them accountable for publishing seditious, defamatory, or libellous content online. The act also goes further and allows the presumption that any registered user of network services is the publisher of a publication sent from a computer which is linked to that network service, unless the contrary is proved. Besides this, in 2016, the CMA was amended to further empower the government with the tools it needs to stop false information from spreading online. Under sections 233 and 263 of the act, the spread of false information through the use of network facilities or network services is already a criminal offence which carries a fine not exceeding RM50,000 and a prison term not exceeding one year. Section 263 of the same act also allows the Communications and Multimedia Commission the right to take down online content without proper oversight. These laws already severely limit the right to free speech guaranteed to Malaysians under Article 10 of the Federal Constitution. This raises the question of why is the new Anti-Fake News Bill 2018 needed at all and why was it so hurriedly passed through the Parliament just before the upcoming 14th general election is scheduled to take place. The bill was passed without meaningful consultation and debate from civil society which is altogether alarming and undermines public perception. Any attempt to curb freedom of speech and expression can only be harmful to democracy. It is nothing but a violation of the right of an individual to question and challenge authority. It is also troubling that the bill covers all media and extends even to foreigners outside Malaysia. There is nothing that guarantees us that the introduction of this new law would not restrict freedom of speech. I maintain my view that the new law is in itself a threat to the democratic principles in this country and it should be retracted. MARIA CHIN ABDULLAH is the former chairperson of Bersih and an independent candidate in the 14th general election.